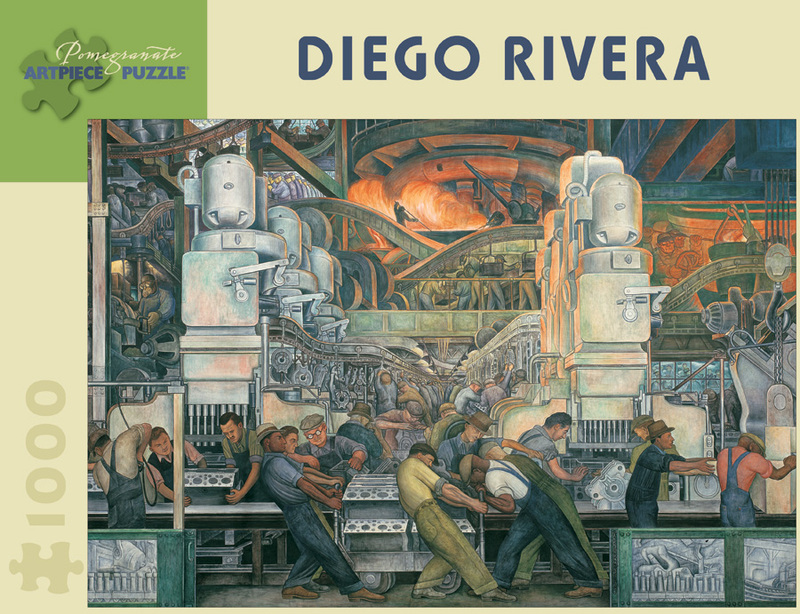 After years of rubbing elbows with the artistic avant-garde of Montparnasse, Diego Rivera returned to Mexico soon after a very different encounter with the Renaissance masters Giotto and Michelangelo. His commitment to Mexico’s recently completed revolution and his new interest in fresco painting led Rivera to participate in a program of public works, murals on broad expanses of wall that anyone could visit, painted in a straightforward style indebted to pre-Columbian and folk art. Later, a mural painted for San Francisco’s Pacific Stock Exchange attracted the attention of the Detroit Institute of Arts, which commissioned him to paint the walls of its classical Garden Court. His theme, the manufacture of automobiles through human labor, pleased Edsel Ford, the president of the Ford Motor Company, who agreed to fund the project and became a great champion of the artist. The vast factory Ford built on the Rouge River, where Rivera spent days sketching, provided the images for the mural’s largest panels, including the one shown here.